Low Cost: Chain link is a fantastic cost-effective alternative to more expensive fencing options, like wood or vinyl. Durable: Chain link fences are built to withstand constant wear and tear, as well as rain, snow, and frost. And unlike other fencing options, high winds are no problem for chain link and its signature galvanized wire mesh. Low Maintenance: No painting or staining here. Homeowners can spend countless hours maintaining a wooden fence or they can opt for chain link, a carefree fencing alternative that will last for years. Wire Meshwork: The signature wire mesh cloth of chain link fencing allows you to see straight through to the other side. While other fences will obscure your property from view, chain link allows passersby to gaze upon your beautiful home. Privacy: If you would like a little more privacy, chain link fences can be equipped with privacy slats. These slats, which come in several different colors, can turn your see-through fence into semi-solid wall, providing the same privacy as wooden or vinyl fences. Vinyl Coating: Another way to customize your chain link fence, while also enhancing its functionality, is with vinyl coating. Vinyl-coated wire mesh provides even greater protection against the elements and comes in a variety of different colors. 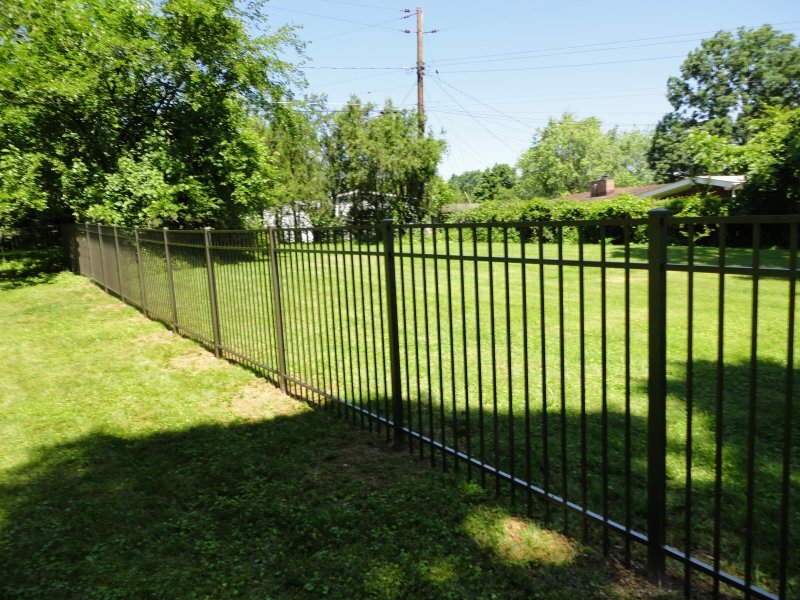 With so many options and close to zero maintenance, you can easily see the advantages of chain link fencing. This entry was posted on Wednesday, September 25th, 2013	at 8:25 pm	. Both comments and pings are currently closed.